Vitaly Sych first made his name in the 2000s as the long-serving editor of Ukraine’s top current affairs weekly, but he cemented his reputation by resigning rather than bowing to Yanukovych era censorship. He is now back at the helm of a new journalistic empire that aims to challenge the media monopoly of Ukraine’s oligarch elite. Forty-two year old Sych speaks with authority when it comes to the considerable potential for rough and tumble in the Ukrainian media industry. He first cut his teeth in the late 1990s as a reporter at the English-language Kyiv Post newspaper before rising to national prominence as chief editor of Russian-language weekly Korrespondent magazine. Sych spent over a decade running Korrespondent, gaining a reputation as one of the most influential and innovative media managers in the country. All that changed overnight in summer 2013 when members of President Yanukovych’s inner circle sought to censor him by purchasing the publication. Faced with the prospect of becoming muzzled, he resigned. Since 2014, Sych has headed up the Novoye Vremya (literally “New Time”) holding, a new and rapidly expanding post-Maidan multimedia platform backed by Ukraine’s leading investment bank, Dragon Capital. Novoye Vremya makes no secret of the fact that it aims to set the standard for professional journalism in the country, while also serving as a flagship for the values that drove Ukraine’s Revolution of Dignity. Sych has spent the first few months of 2018 somewhat preoccupied with preparations for the launch of a nationwide talk radio station. This new radio station is the latest addition to his growing empire, joining Novoye Vremya’s existing portfolio that consists of a weekly Russian-language current affairs magazine and bilingual news website. This expansion into radio is part of a conscious effort to chip away at the dominant position enjoyed by the handful of oligarchs who control the lion’s share of Ukraine’s media market. The Novoye Vremya project is very much a child of Maidan. Conceived during the revolution at a time when Kyiv was in flames, the first edition of the print publication hit the streets in late spring 2014 as Russian hybrid forces were overrunning towns and cities across eastern Ukraine. The debut cover page of the magazine featured a machine-gun toting Vladimir Putin in full combat gear with Ukraine’s fugitive ex-president Viktor Yanukovych in street thug attire crouching by his feet. This baptism of fire set the tone for four years of no holds barred current affairs coverage that has left nobody on Ukraine’s political Parthenon unscathed. 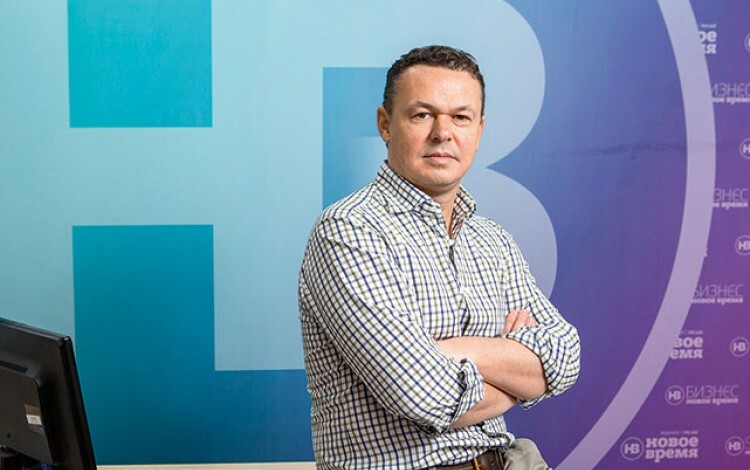 All this is possible thanks to the financial backing of Dragon Capital, a Kyiv-based international investment bank headed by Czech national Tomas Fiala. Dragon Capital is the sole owner and investor in the Novoye Vremya media holding, providing the project with the kind of ownership clarity that is sometimes lacking in the Ukrainian media industry. Virtually all of Ukraine’s leading mainstream media outlets are associated with individual oligarchs, while second-tier platforms are frequently characterized by opaque ownership structures and hidden agendas. There is no such mystery surrounding Dragon Capital’s decision to enter the media industry. As Sych points out, few stakeholders stand to benefit more from the strengthening of Ukraine’s independent media than the country’s most prominent investment bank. Despite approaching its fourth anniversary, the Novoye Vremya project retains the dynamic air of a startup. The media holding’s offices are located in a converted former administrative building nestled among the factories and plants that clutter the Kyiv riverside horizon as picturesque Podil gives way to the significantly less glamorous rust belt of the Ukrainian capital. In a neighborhood full of smoke stacks and nondescript Soviet facades, the Novoye Vremya HQ is a pocket of unlikely hipster cool signposted by the Banksy-style street art decorating the building’s courtyard entrance. Sych’s no-frills second floor office is almost completely devoid of decor. The sole personal touch is a large map of Ukraine covered in pins, with each pin indicating one of the forty cities where his new talk radio station broadcasts. The nationwide launch of the station was possible thanks to the acquisition of Ukraine’s oldest talk radio station, Radio Era, by Dragon Capital in late 2017. Sych explains that the purchase was purely to secure the existing station’s frequencies, a process that could have otherwise taken years to conclude. Other than that, the rebranded Radio NV will have nothing in common editorially with its predecessor. Instead, it promises to bring the same journalistic values espoused by its sibling print and online platforms to the Ukrainian airwaves. Sych’s reputation for ethical journalism is rooted in long years of credible current affairs coverage, but one incident in particular stands out. Back in 2013, he walked away from his high-profile role at Korrespondent magazine following its purchase by Yanukovych-linked oligarch Serhiy Kurchenko. Despite offers of a major payday and veiled threats about difficulties finding alternative employment, Sych refused to continue under the new owners and left the post he had held for more than a decade. His departure was widely interpreted as evidence of the rapidly deteriorating media climate under President Yanukovych. Sych’s prospects at the time looked bleak, but events would soon overtake the government and throw Ukraine’s political arena into turmoil. Within weeks of Sych’s resignation, Ukraine witnessed the start of the protest movement that would eventually become the Revolution of Dignity. Although nobody realised at the time, Yanukovych’s days were numbered. The demise of the Yanukovych regime paved the way for the emergence of the Novoye Vremya project. It also allowed Sych to begin the process of rehiring the Korrespondent staff members who had resigned alongside him. Sych’s strategy involves expanding his audience reach both geographically and demographically. Radio NV should allow him to engage with entirely new audiences across Ukraine. 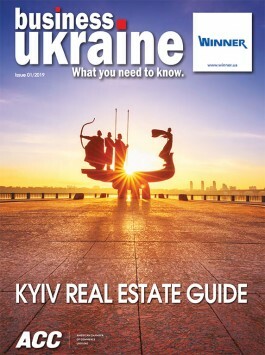 His weekly print magazine is already widely read by many of Ukraine’s top politicians and business leaders, while the Novoye Vremya site has firmly established itself among Ukraine’s top ten online news resources. Radio now offers access to a completely different demographic dominated by middle-aged male car drivers. Sych sees considerable scope for synergy between the print, online and radio platforms of the Novoye Vremya stable, with the promise of increased exposure helping to improve access to the country’s powerbrokers. He hopes it will give the media holding considerably more clout when it comes to approaching big name studio guests and potential commercial partners alike. Looking ahead, this commercial component is central to the sustainability of the Novoye Vremya presence on the Ukrainian media market. Despite all the crusading talk of promoting ethical journalism and the long-term vision espoused by the media holding’s investment banker owners, the project ultimately needs to become financially self-sufficient. Sych says the post-2014 crash has set back plans to break even by several years, but believes this remains a realistic objective. Much may depend on his ability to diversify in order to monetize the Novoye Vremya brand. Over the coming twelve months, Sych expects to branch out into the sphere of branded events with prestige sponsors. Such spinoffs could eventually account for a significant slice of the media holding’s revenues. If he succeeds in building a profitable media empire without compromising his professional ethics, Sych could find himself serving as pathfinder for a whole new generation of Ukrainian journalists. It is a role he is acutely conscious of, having recently begun lecturing undergraduates in Kharkiv as part of a new training initiative. “They are simply amazed that it is possible to practice honest journalism in Ukraine,” he reflects.